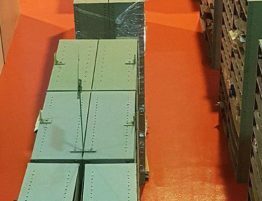 Advanced Flooring Systems (AFS) installed a new hard wearing anti-slip flooring system for Seating Matters in their main production facility in Limavady. Seating Matters is a specialist seating manufacture that improves comfort and quality of life for those with postural and pressure management needs. 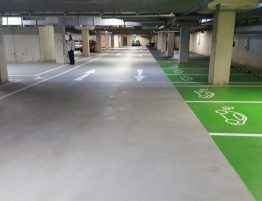 The worldwide manufacturer required a flooring contractor who could help them upgrade the existing system and install a hard wearing and decorative flooring system with R10 anti-slip properties. With a long references list of successful similar installations, Seating Matters selected AFS. 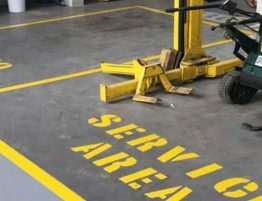 AFS’s unique ability is to be able to specify the best flooring system to help suit the requirements from all the leading flooring product manufacturers. After the onsite consultation with the client, AFS recommended a MPM Duroglass p5/4 flooring system for the 700m2 project. 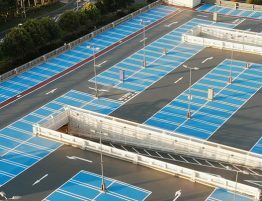 AFS always recommend specialised surface preparation for every project due ensure a successful flooring installation. 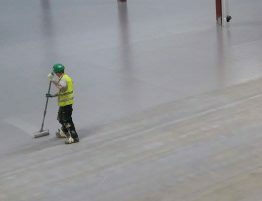 Unlike other flooring contractors, AFS do no subcontract this vital stage but rather use their own in-house specialised surface preparation division. 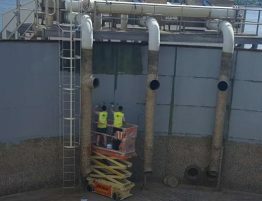 AFS started the project by aggressive preparing the existing concrete substrate using vacuum diamond grinding and AFS’s HTC650 grinder. Vacuum-assisted hand-held grinders were also used to help prepare edges and small tight areas. 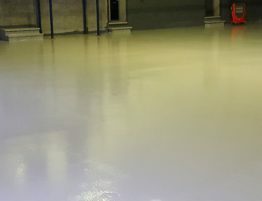 Following preparation, AFS then applied two coats of MPM Duroglass FU Rapid primer coat over the prepared concrete substrate. 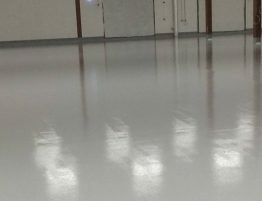 A MPM Duroglass P5/4 screed was then hand troweled on and allowed to cure.